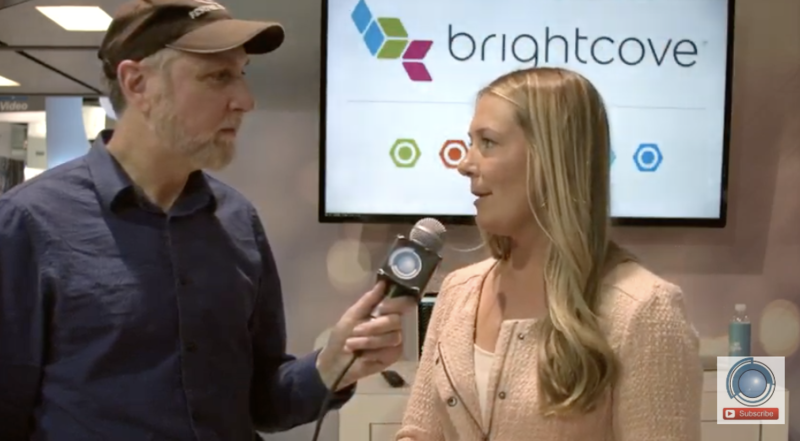 BSVP On-Site: Bruce Himmelblau with BSVP On-Site, at the Brightcove booth here at NAB 2019 talking with Lexi. Brightcove isn’t well-known across the entire universe, yet. But you’re well-known in some industries. What is the best use for Brightcove? Brightcove: Brightcove is a traditional OVP, an online video platform, and enables publishers, broadcasters, even marketing platforms, anyone who really has content to distribute that content across all devices. This means everything from transcoding that content to distributing across from an OTT platform. Over the Top. I tend to associate a set-top boxes like Roku’s, Apple TVs. But it really can mean any sort of connected device. BSVP On-Site: If you’re a company out there trying to reach your audience, sometimes YouTube is an option and maybe even Facebook, but you actually integrate with those platforms. Brightcove: We integrate with them on a couple of different levels. We have a social module which allows you to distribute your content across both your owned-and-operated property and then over to those social platforms we also do live to social now through RTMP outputs. If you have live content you’re able to both host it on your existing property and across those social channels. The purpose being it’s in a way to draw your audience in through the the benefits of social media that everyone sees the inherent value there, yeah, but also being able to maintain control over your own property and keeping the content to your site and drive viewers back to your site and to your brand. BSVP ON-Site: Then behind the scenes there’s an analytics reference as well? In “Video Cloud”, which is the Brightcove platform, you’re able to pull in those analytics from all those social networks all in one place. You can look at your video look at views engagement time on site things like that, and Likes things all of it all in one spot. BSVP On-Site: Does Brightcove have a general message? Brightcove: Our messaging for this conference specifically is “Break Through”. There’s a cacophony of streaming services out there and content and brands and we enable you to break through to those audiences through our OTT services, live and encoding capabilities. How do I find out more about Brightcove? Head over to our website Brightcove.com and we’re actually hosting a user conference it’s huge we highly encourage everyone to attend it’s called “Play” and it is in Boston in May. BSVP On-Site: Excellent thank very much this is Bruce with BSVP On-Site.